Los Angeles, the La-la Land…the House of Hollywood…where stars are made and dreams are transformed into glittering celebrities. My journey started from Las Vegas one early morning. A little over 5-hour drive from Vegas, the Sin City in the district of Nevada is the city of Los Angeles, the cultural and entertainment capital of California. On your way, you pass through multi-lane highways, non-descript deserts and unassuming mountain ranges. The moment you enter the contours of this fabled City, the traffic snarls get thicker and more frequent. Your safety is nevertheless secured as long as your companion, i.e. your GPS remains your friend & guide. Pro Tip: If you lose your way or take wrong exits, you may have real trouble getting back to your planned route due to heavy traffic. So always add some buffer time to your travel plan. Los Angeles is a city of diverse cultures, and many of them are showcased in and around the city’s Downtown. It is a quintessential commercial metropolis with modern infrastructures, tall buildings, broad roads, traffic jams, and all the other good & vices that are generally associated with any large bustling city. I spent the rest of the day exploring the downtown area, trying some Mexican food, looking at tall buildings, China Town, and Little Tokyo. But it is not the downtown alone for which Los Angeles is famous for. 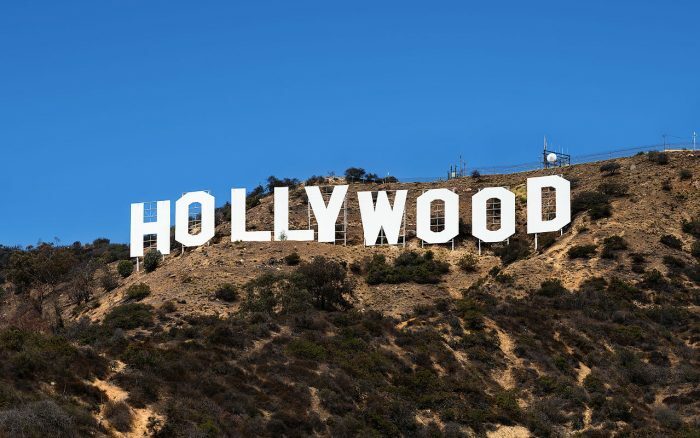 Los Angeles’s fame augments from being home of Hollywood, the famous Universal Studios, the Disney Land, Beverly Hills, and its other beautiful neighboring cities like Santa Monica and Venice Beach. After night’s rest, next morning the concierge at hotel Hilton pulls out a map from under his desk and suggests places that I need to visit. First on the list was the Camarillo shopping Mall situated at an hour drive from my Hotel. 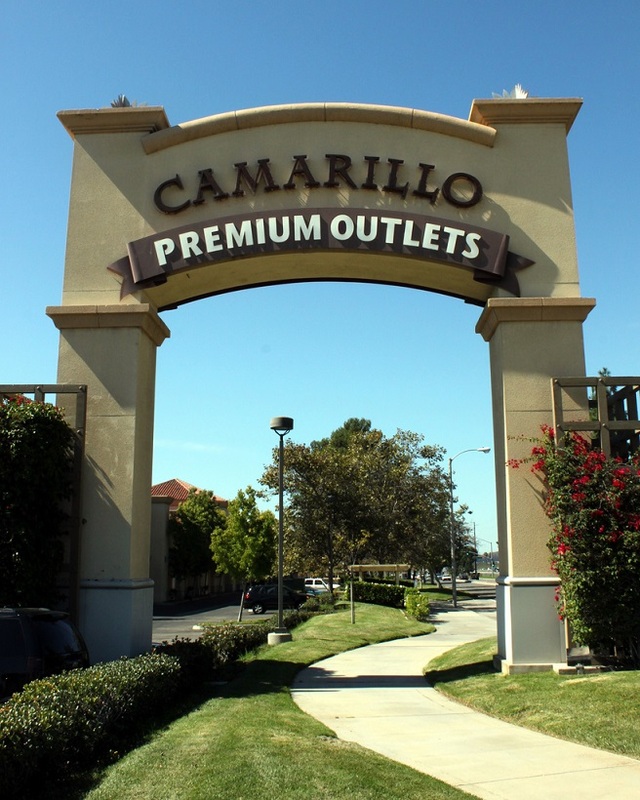 Camarillo Premium Mall is a factory outlet where you can get nearly all of the world’s famous brands at heavily discounted prices. This is a place no tourist should miss (well, if you want to shop, of course). ‘No Problem’ I thought to myself. I have a car. I pressed the ignition & obediently followed the GPS’s advice to reach this sprawling Mall spread over large area divided primarily into three blocks. The shopping list was long but not beyond my Credit Card limit, luckily. Shopping spree thus ensued. After over three captivating hours, it was time now to leave towards the fascinating Santa Monica Beach. 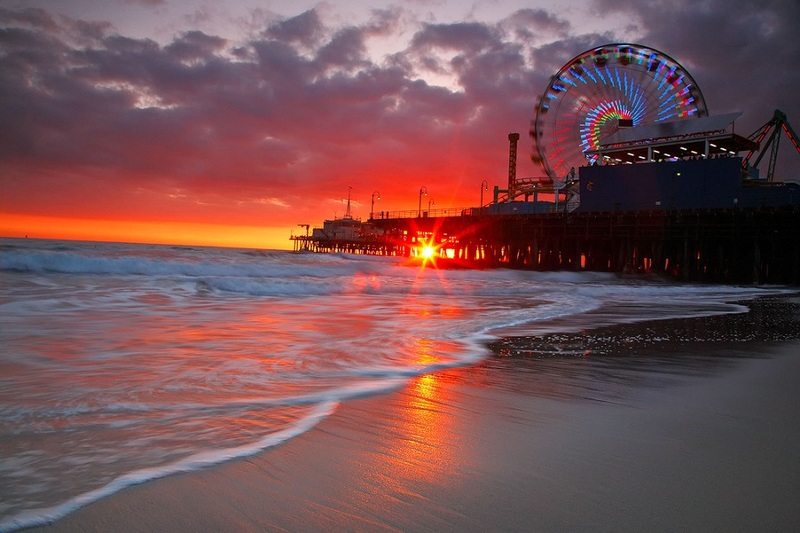 Santa Monica is a coastal town and famous for its beautiful beach. By the time I touched its periphery, the Sun had set and the lights had begun to glow. The entire place looked extremely enchanting. Well-lit malls, shops, restaurants, lined up as I drove admiringly towards the beach. I parked my car and moved towards the far end restaurant built right into the sea. I seated myself at a vantage point from where the glitter & glamour of the place could be conveniently enjoyed. A few drinks and some good seafood was all that was needed to refuel my hungry-belly. Satiated, both visually and gastronomically, I paid the parking charge and drove back to the hotel. Next Morning, was the time to visit the very famous, “Universal Studios”. 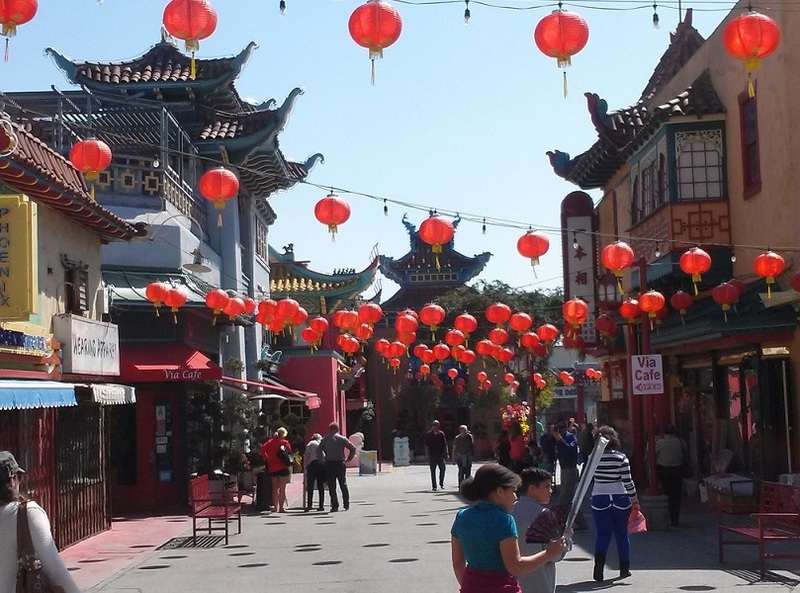 The heart and soul of the park is still the 2 Studio Tour, a tram tour of the backlot that lasts 45 min to an hour and winds through many famous movie sets and past working sound stages. After parking my car, I headed towards the iconic Universal Studio Globe, and then towards the entry ticket window. Paid $180 USD for an Express Pass (I was short on time) and walked inside the huge gateway into the sprawling studio premises. Once inside, Studio Tour in Tram is the first thing one should go for. This multi-compartment Tram ride, that is enthralling as well as educating, takes you around the entire studio with a high quality pre-recorded audio-video system installed in each compartment. This facilitates the passengers to have a clearer and better perspective of each site and every situation. You first pass through various enclosed sets and then through open streets that resemble those in London, Paris, and other iconic cities. Your tram then takes you from near an artificial lagoon in which animatronics of intimidating Sharks can be seen swimming. 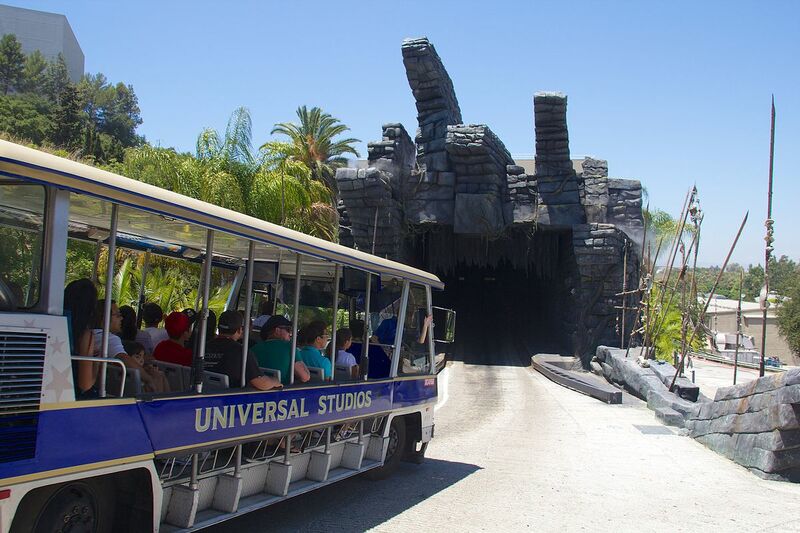 Further, as it passes through within one of the studios, it halts unannounced, and suddenly the whole compartment starts shaking vigorously, making you feel as if you are in the midst of a terrible earthquake. You are really shaken. 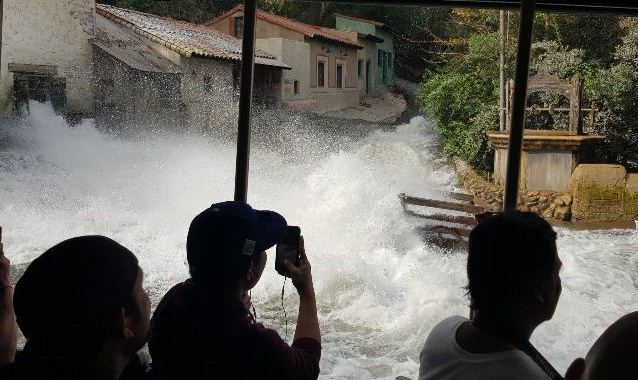 Before you recover, the tram moves ahead to another place where you see a small stream of water suddenly swelling and turning into a flash flood. The approaching slab of water scares the hell out of you. The smart tram driver moves out just in time to escape this fury. If this was not enough, you witness person carrying a corpse of a woman, trying to hide her body in his car dicky. As he notices you watching him, he angrily rushes towards you with his knife. The driver once again drives ahead and you are seemingly saved from his wrath. Then the tram moves to the Sound Stage. Here you are directed to put on your pre-provided 3D Glasses. There comes alive the riveting 360 degrees 3D drama. You see dangerous looking illusionary creatures running menacingly behind and along your tram. As they come scarily close, King Kong intervenes and fights them all to save us from being harmed. Awe-inspiring sounds effects of air and water simultaneously played; enhance the dramatic effect of the entire play exponentially. Indeed a memorable experience. Next, the tram drives into a garage where “Fast & Furious” is played. Once again you wear your 3D glasses and watch an incredibly amazing chase where the protagonist chases down the antagonists as screeching cars move out on the freeway, banging, breaking, and crashing all the way. The synchronization of Sound & Visuals makes you feel you are an intrinsic part of this daredevil action. Stunned, the tram moves out to take you back to the starting point. Almost dazed, you return your 3D glasses and make out alive and alright. Outside, the awed experience of this unique place continues. 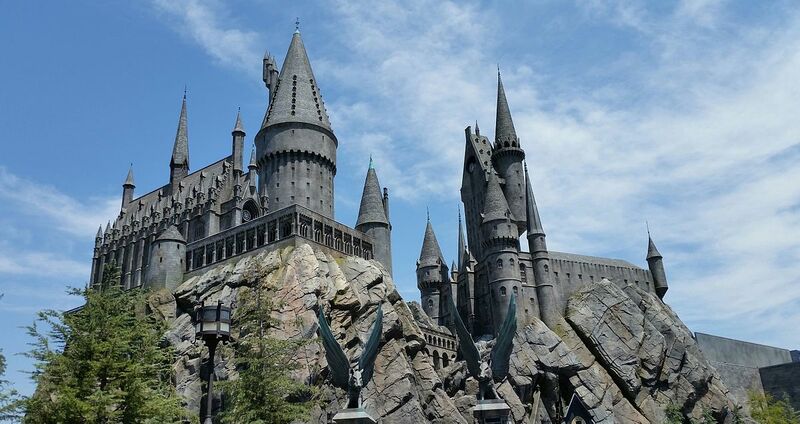 Lined up are auditoriums that present enthralling shows that includes “Harry Potter and the Forbidden Journey”. In this 10 minutes trip, you walk through familiar classrooms of Hogwarts and enjoy the thrilling and entrancing adventure of Harry Potter and his friends in a short movie in between. Water World is next. Here you come across some exceptionally daring live stunts enacted on ‘Water and in Air’. The intrepid actors, both male and female keep the audiences on their feet, totally engaged and thoroughly entertained. (Play duration 20 minutes). Flight of the Hippogriff is a 5 min family-friendly coaster ride where even a wary person like me enjoyed the ride going up and down. It’s fun. The Special Effects show is awe-inspiring and educative 25 minutes show where you uncover the hidden secrets of Hollywood moviemaking. 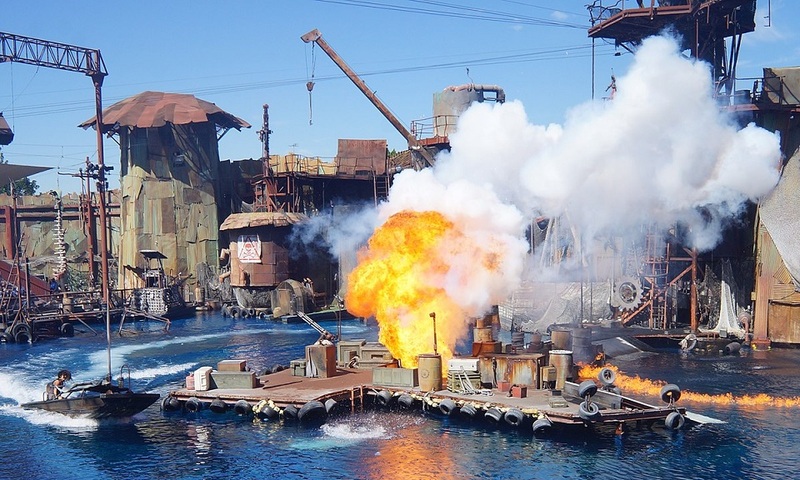 You see real Hollywood stunts, special effects, and cutting-edge technologies come to life, right in front of your eyes. Yes, the scary “Walking Dead”. As the name suggests (or if you have seen the TV shows), you quite literally pass from near the dead who can surprisingly walk. A 5 minutes’ walk along the chambers lined up with apparently hungry dead people. Imagine if one of them suddenly tries to jump over you as you walk close to their chamber. You hear screams all around. A quintessential horrifying experience but it makes you laugh at yourself as you leave this amazing place. Revenge of the Mummy is a 20 minutes terrifying thrill ride full of ghastly creatures that use linear induction motors technology to catapult riders deep into the heart of the film. In the Despicable Me ride, you join Gru, his daughters, and the mischievous minions on a heartwarming and hilarious 3D ride for another 20 min. In “Transformers the Ride”, you are transported into 3D Next Generation immersive Theme Park that displays astounding cutting-edge physical and special effect technology. After these 4-5 hours memorable adventure at the Universal, the next place I wanted to visit was the Hollywood Street and the Beverly Hills (house of the rich & the famous). Upon reaching Hollywood Street, I realized that going to Beverly Hills would mean risking my flight to Tahiti that evening. I had an 11 day Cruise planned to various Islands in French Polynesia including Bora-Bora, something that I wouldn’t even dream to miss. So after a quick visit to a few malls, I purchased some souvenirs, walked around the street, clicked pictures with actors dressed as Spiderman, Superman, Batman, peeped into restaurants, saw people queued up at various theaters ostensibly to watch their favorite movie. So I walked back to my car to cruise towards L.A. Airport. Just in time to return my rental car & board my long flight to Tahiti. Before bidding sayonara, let me add, don’t miss going to Disneyland Park if you have children accompanying you. Pay US$20 and take a shuttle from LAX Airport that will take approximately 45 minutes to reach Disney Land. Your children will surely love you for it.